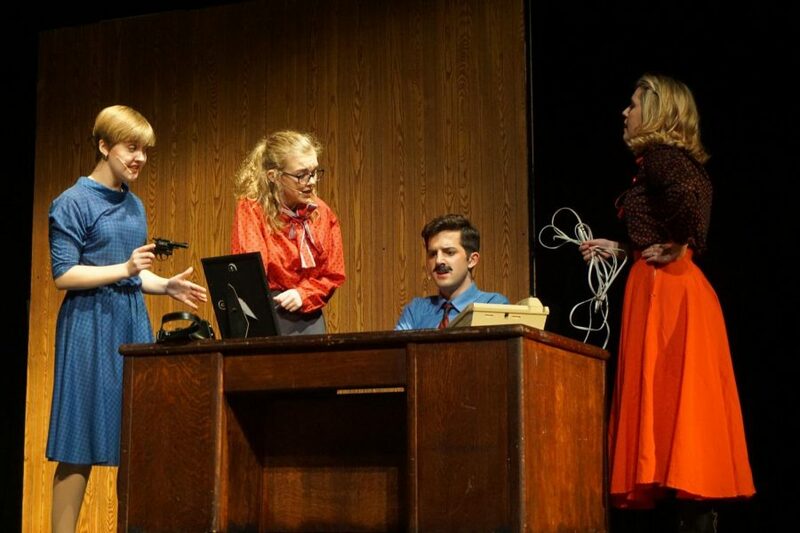 Sophomore Phoebe McKinney, junior Isaac Wahl and seniors Evie Nelson and Emma Yarger, perform a scene from '9 to 5 the Musical'. Opening night for the musical took place Nov. 9th with more performances to come Nov. 11, 16, 17 and 18. 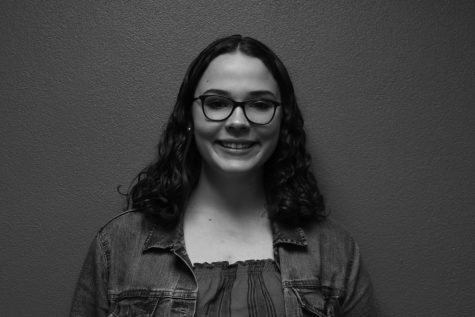 According to sophomore lead cast member Phoebe McKinney, hard work during tech week and a successful final dress rehearsal contributed to a strong opening night performance. According to senior stage manager Nietzsche Deuel, Friday evening’s first performance of ‘9 to 5 the Musical’ was a good learning experience. “There were mistakes, but that happens every time, and so we’re all going to take what happened tonight and we’re going to learn from it, but in general I think opening night went pretty well,” Deuel said. McKinney said her favorite part of performing ‘9 to 5 the Musical’ is the message the show conveys. 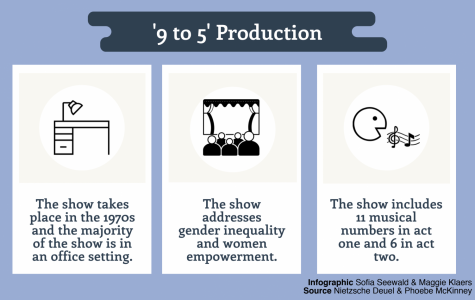 “This show I really love because, even though it takes place in the past, it still speaks to a lot of issues that are happening today—like the wage gap, and men mistreating women and feminism. And it’s very empowering to be in and to watch, I would imagine,” McKinney said. 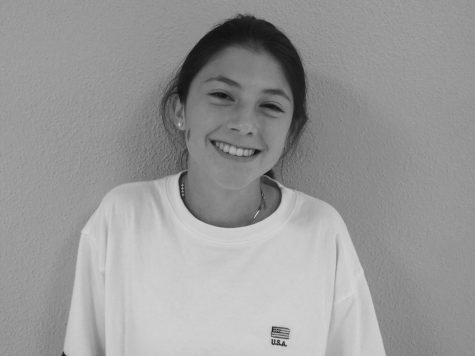 Freshman crew member Olivia Brown said she enjoyed showcasing the theater programs hard work for the first time. “My favorite part of tonight was actually having the show performed in front of a real audience and finally showing off all the work that we’ve done,” Brown said. Deuel said she believed the performance was successful in providing pleasure and entertainment, one of the program’s main goals. “I think everybody had a good time and I think the audience really enjoyed it, and that’s the real purpose of the show, is that the audience had a good time and that they enjoyed it,” Deuel said. Brown said that from her position, the audience had a positive response to the show. “I think they reacted well. From what we heard backstage there was a lot of laughter, so that’s always a good sign,” Brown said. According to Deuel, the crew worked very hard to be ready for this weekend’s shows. “I am super proud of everyone, the crew especially, because not only were they here for the rehearsals from three to eight, but they stayed later even to finish the set, and I can’t express how proud I am of them for really sticking through it and getting everything done,” Deuel said. Deuel also said she is proud of the actors as well for being productive during tech week and contributing to the show’s success. “The actors this week really nailed down their transitions, their cues, their singing and their lines, and we really pulled this show together,” Deuel said. 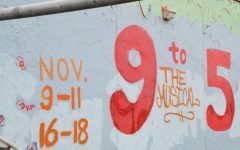 ‘9 to 5 the Musical’ will be continue to be performed Nov. 10, 11, 16, 17 and 18 at the St. Louis Park High School auditorium. Tickets cost $7 for students and $10 for adults.